This country is blessed with beautiful faces that are doing a tremendously amazing job at both national and international platforms. Hard to believe but, most of these established names started their career by walking on the ramps of the fashion industry. Have a look at these beauties who paved their ways from ramps to the big screens! The dazzling beauty was nominated for the best model in 2009 and this title was soon achieved. Also, she was appointed as the brand ambassador for the biggest beauty brand, L’Oreal for her elegance and innocent pretty looks. Once stepped into the drama industry, her achievements are nothing unheard of! Some of her most prominent hits include Zindagi Gulzar hai, Kudarat, Mera Naseeb and Ik Kasak Reh Gai. Currently, she is doing a tremendous work in Diyar e-Dil, a drama serial based on Farhat Ishtiaq’s novel. Best known for playing the role of ‘Khobsurat’ in one of the most highly rated drama, Bulbulay, this beauty is also a stunning actress, successful model, thriving singer, former MTV Pakistan VJ and soulful painter. Multi-talented Omar started her career as a model. She has bagged many commercials of power brands such as Kurkure, Harpic, Capri, Pantene and Zong. She hosted the show Meray Bachpan Kay Din on PTV at the age of eight and till date she hasn’t failed to surprise us. Mehwish is the only Pakistani who has been voted as the ninth sexiest Asian woman in the world by UK’s prestigious Eastern Eye magazine in their Annual list of the year 2008 and also 2009. Initially, she made her name as an exceptional model. Brands she worked for includes, Habib Oil, Coca Cola, Peek Freen (Sooper and Chocolate & Lemon Sandwich Biscuits) ,TANG Juice, Gul-Ahmed, Colgate Toothpaste, Olper’s Milk, Brite Total, Dawlance Microwave and Dettol Soap. Her outstanding acting skills can be seen in Thori si Wafa Chahiye, Telefilm Berri, Thori si Khushiyan, Gulaabi Saarhi, Aakhri Saans, Resham si Shaam, Pheeki, Aulaad, Daam-e-Mohabbat, Tohfa, Premlata to name a few. Born in New York, this beauty was born to take fashion and entertainment industry by storm. Soon after moving back to Pakistan after college, Aamina started working at Geo Television, where she directed and produced children’s talk show Bachey Man Ke Sachey and simultaneously continued doing theater. Once she stepped on the ramps, she ruled the modeling industry and was blessed in abundance because of her beauty and her charmingly slim figure. She has given stunning performances as the main lead in TV serials like Maat, Daam, Hum tum and Ishq Gumshuda. Although relatively new in the fashion industry, Aamna has been named in the list of those models who have gained maximum fame in a very short time period. She has worked for some very famous brands including HSY, Karma, Khaadi, Khass and Chenone. She was also awarded as the Best Dressed Female on Red Carpet at 11th Lux style Awards. Yes, she’s the one who will soon appear with Humayun Saeed in most awaited film of the year, Bin Roye. The dazzling actress started her career as a model and then began acting featuring in short tele-films while she was studying in London. She has been selected as the 5th most lovely and beautiful South Asian Female Model for 2010 and 2011 sequentially. This exciting person has done a bit of everything from teaching to working at a bank to VJ-ing at Aag tv to Modeling and Acting. Her recent venture on Hum Tv “Dil-e-Muztar” opposite Imran Abbas grabbed the highest TRP among all the shows played during the period. It’s only 3rd for HUM after Humsafar and Zindagi Gulzar Hai. She recently appeared in telefilm Dulha Mein Le Ke Jaungi on ARY Digital and in HUM Tv’s hit drama, Alvida. The American-born beauty Queen, Arij is undeniably a multitalented star of Pakistan Television. With a cute face and an impressive figure, she started her career with modeling and worked on many projects. Arij introduced herself to the world of acting and within a short span has made her position as one of the leading actresses in Pakistan’s Television Industry. This sizzling beauty started her career with modeling at the very tender age of 16.Perfecting the ramp walk, she decided to step into acting and the next thing that we know about her is that she was seen in every other drama being played on our Tv channels. The highly paid Aiza Khan is now considered as one of the leading actresses in Pakistan’s Television Industry. She has worked in many Super hit drama serials which were very well received by the viewers. Some of them include Tum jo Miley, Pyare Afzal, Bikhra Mera Naseeb and Mera Saen 2. 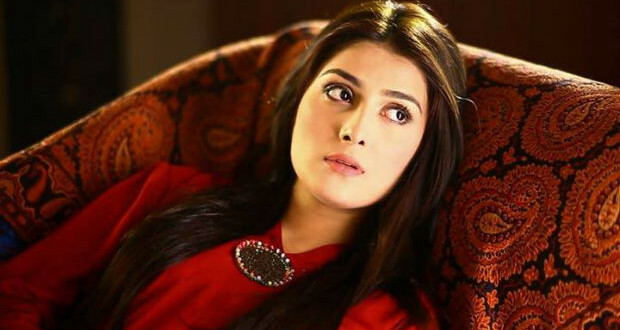 We only heard about Libras being born to act until we saw Fiza Ali proving it right! Moving from Bangladesh to the city of lights in 1999, Fiza stepped into the showbiz industry as a model and the next thing that we know is that the model was all over our screens starring as ‘Laiba’ in the breakthrough drama of Pakistani drama industry, Mehndi. Some of her efficacious drama serials include Lagan, Ahsaas, Roger and the most renowned Love, Life Aur Lahore in which she played the role of “Lubna Hameed”. Previous Fawad Khan Turns Superhero & Helped Save Lives!